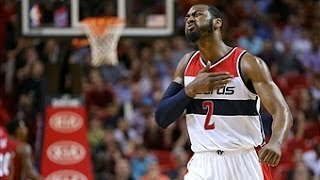 Check out the best plays from John Wall from this past year. About the NBA: The NBA is the premier professional basketball league in the United States and Canada. Check out the best plays from John Wall from this past year About the NBA: The NBA is the premier professional basketball league in the United States and Canada. DALLAS — The NBA has released the second returns for its all-star game balloting and John Wall remains the top vote-getter among Eastern Conference guards.